The Central Coast area relies on groundwater for more than 80 percent of its water supplies, a greater percentage than any other region in the state. 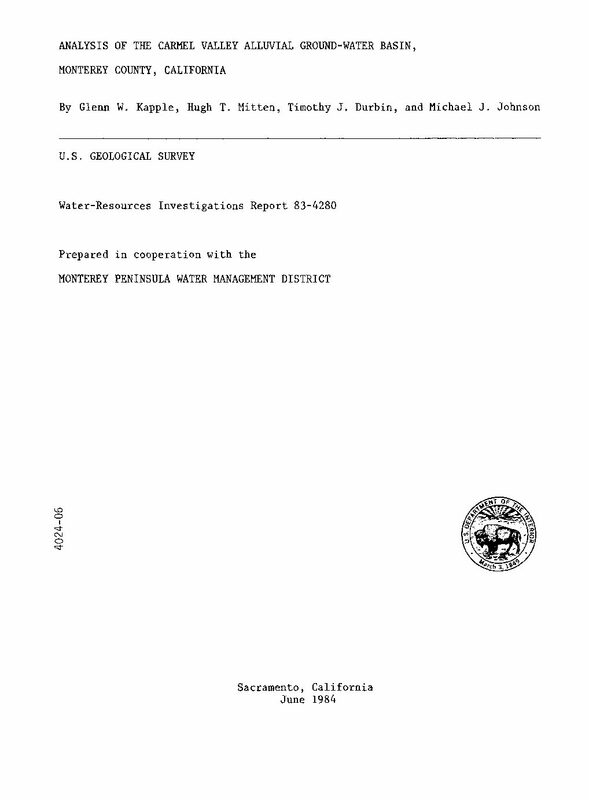 Over 40 percent of the groundwater basins in the Central Coast region were ranked as either “high” or “medium” priority as part of the California Statewide Groundwater Elevation Monitoring (CASGEM) prioritization released in June 2014, indicating that they are among the most threated by present or future increases in groundwater demand. Central Coast groundwater supplies are seriously threatened by over-pumping that causes seawater intrusion, a challenge unique to coastal communities. 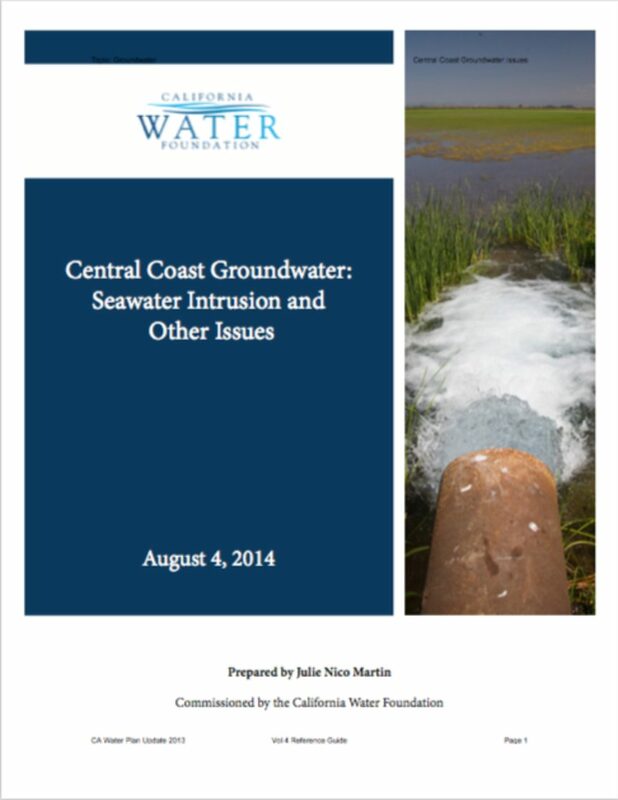 Seawater intrusion results in saline groundwater that is unsuitable for irrigation or domestic use, directly threatening the Central Coast’s economy, where many high-value, salt-sensitive crops, such as strawberries, are grown. 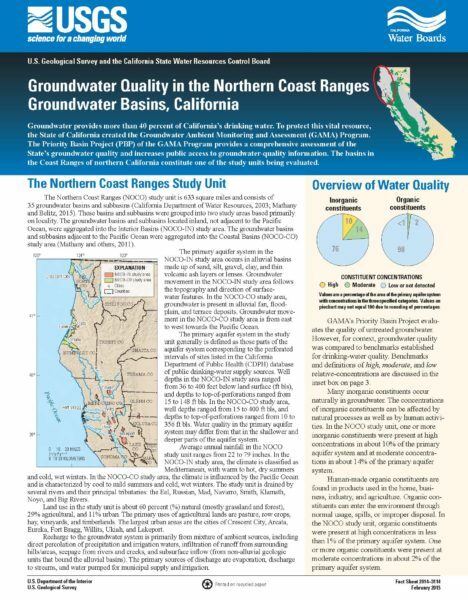 Groundwater basins in the Monterey and Salinas Valley area are in a state of long-term overdraft, resulting in falling groundwater levels, regional seawater intrusion, and reduced groundwater storage. 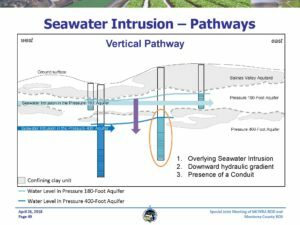 Seawater intrusion reaches more than five miles inland in the Salinas Valley and three miles inland in the Pajaro Valley. In addition to salinity issues, several groundwater contaminants are present in these aquifers, including elevated levels of total dissolved solids, iron, manganese, nitrates, and other trace elements. The Paso Robles groundwater subbasin supplies water for 29 percent of the population and an estimated 40 percent of the agricultural production of San Luis Obispo County. Groundwater levels in the basin have been dropping rapidly in recent years, with many areas experiencing groundwater level declines of more than 70 feet. As a result, many wells have gone dry and groundwater users have been forced to deepen their wells or drill new wells. In July 2013, over 100 rural property owners complained to the San Luis Obispo County Board of Supervisors that their wells were running dry and in August 2013 the Board adopted the “Paso Robles Groundwater Basin Urgency Ordinance” as a temporary action to prevent new pumping from worsening overdraft conditions. Additionally, land surface subsidence has been noted in the Paso Robles area, and the recent rapid groundwater level declines may have triggered additional subsidence in this area. Although groundwater levels in the Oxnard Plain area have been relatively stable or have shown an increasing trend, in the coastal regions this stability is largely due to seawater intrusion and results in water of unusable quality replacing high quality groundwater. Rising groundwater levels in the Las Posas Valley are a result of active management to increase groundwater recharge beneath the Arroyo Las Posas. Seawater intrusion began in the Oxnard Plain area by 1930s and was widespread as early as the 1940s. Changes in groundwater management, including pumping reductions, shifting of pumping locations, construction of the Freeman Diversion, and the operation of the Pumping Trough and Pleasant Valley pipeline systems have significantly reduced seawater intrusion, but seawater intrusion conditions persist. Other contaminants present in the region include nitrates, iron, manganese and sulfate. In addition to causing seawater intrusion, over-pumping also caused irreversible land subsidence ranging from 2 .5 to 5 feet in several areas of the basin. The Central Coast is critically dependent upon groundwater, but this resource is under serious threat in a number of basins. In light of the limitations of existing state policies, the following measures would improve the effectiveness of groundwater planning and support sustainable management of California’s Central Coast’s groundwater resources . Establish a statewide policy to manage groundwater sustainably. 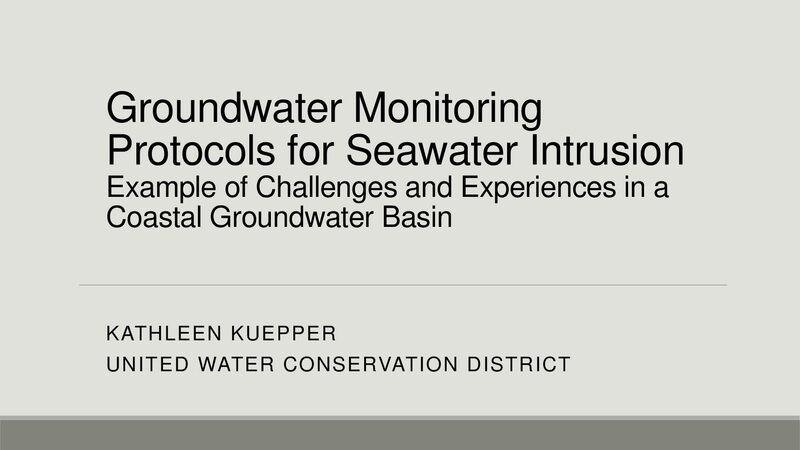 Organize and empower local groundwater agencies to manage groundwater subbasins. Require the development and implementation of groundwater sustainability plans by local groundwater agencies. Provide local agencies with technical guidance and financial support from the state. Empower the State to oversee and ensure the implementation of groundwater sustainability plans. 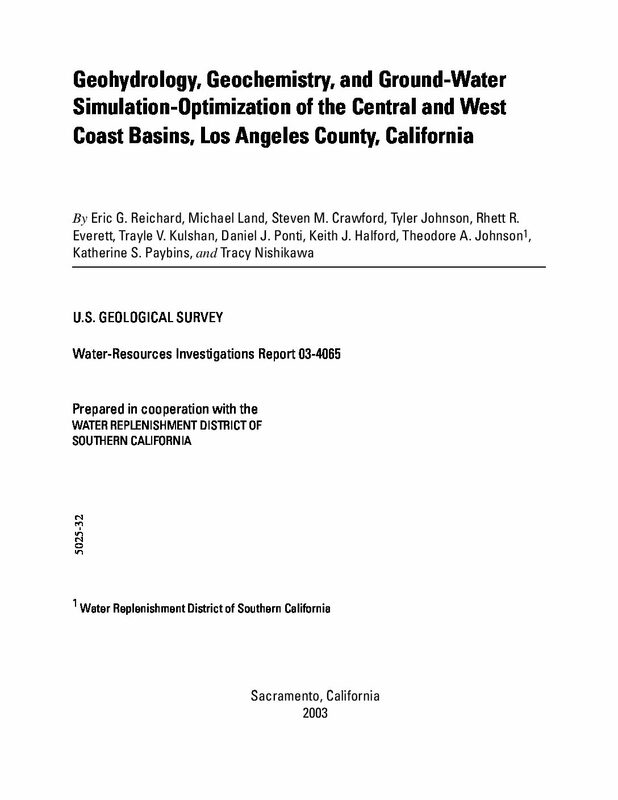 Historical ground-water development of the Central and West Coast Basins in Los Angeles County, California through the first half of the 20th century caused large water-level declines and induced seawater intrusion. 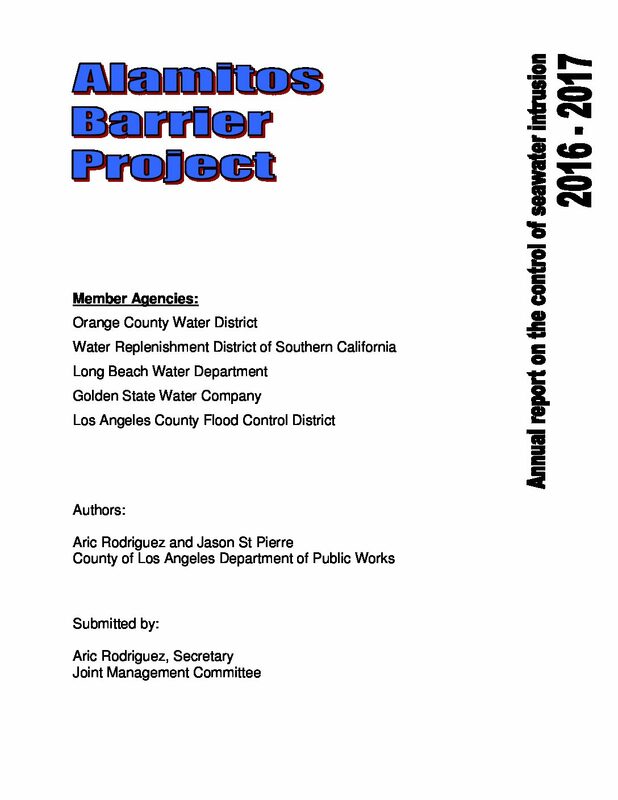 Because of this, the basins were adjudicated and numerous groundwater management activities were implemented, including increased water spreading, construction of injection barriers, increased delivery of imported water, and increased use of reclaimed water. In order to improve the scientific basis for these water management activities, an extensive data collection program was undertaken, geohydrological and geochemical analyses were conducted, and ground-water flow simulation and optimization models were developed. In this project, extensive hydraulic, geologic, and chemical data were collected from new multiple-well monitoring sites. On the basis of these data and data compiled and collected from existing wells, the regional geohydrologic framework was characterized. For the purposes of modeling, the three-dimensional aquifer system was divided into four aquifer systems—the Recent, Lakewood, Upper San Pedro, and Lower San Pedro aquifer systems. Most pumpage in the two basins is from the Upper San Pedro aquifer system. Assessment of the three-dimensional geochemical data provides insight into the sources of recharge and the movement and age of ground water in the study area. Major-ion data indicate the chemical character of water containing less than 500 mg/L dissolved solids generally grades from calcium-bicarbonate/sulfate to sodium bicarbonate. Sodium-chloride water, high in dissolved solids, is present in wells near the coast. Stable isotopes of oxygen and hydrogen provide information on sources of recharge to the basin, including imported water and water originating in the San Fernando Valley, San Gabriel Valley, and the coastal plain and surrounding hills. Tritium and carbon-14 data provide information on relative ground-water ages. Water with abundant tritium (greater than 8 tritium units) is found in and downgradient from the Montebello Forebay and near the seawater barrier projects, indicating recent recharge. Water with less than measurable tritium is present in, and downgradient from, the Los Angeles Forebay and in most wells in the West Coast Basin. Water from several deep wells was analyzed for carbon-14. Uncorrected estimates of age for these samples range from 600 to more than 20,000 years before present. Chemical and isotopic data are combined to evaluate changes in chemical character along flow paths emanating from the Montebello and Los Angeles Forebays. 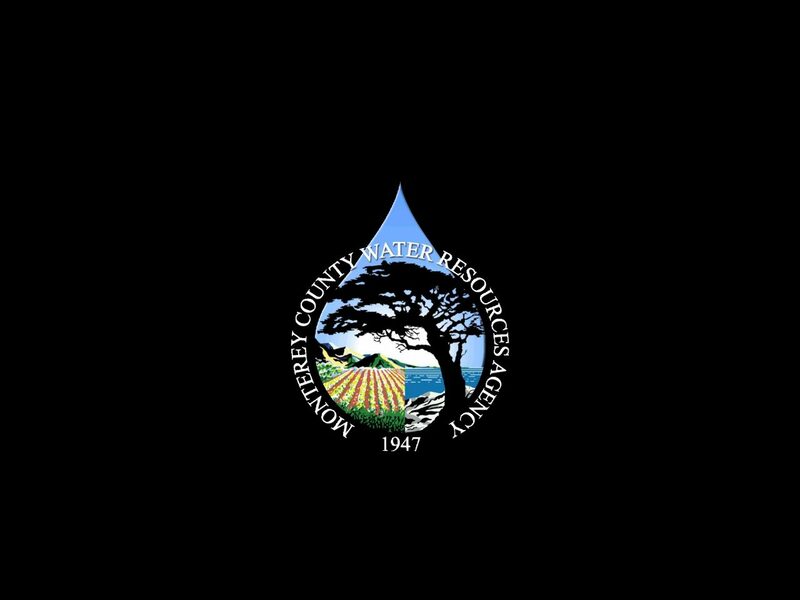 The Santa Clara Valley Water District (District) is the primary water resources agency in Santa Clara County. This Groundwater Vulnerability Study was conducted to predict the vulnerability of groundwater to potentially contaminating land use activities to aid the District in its management and protection activities. Groundwater vulnerability is comprised of two key components: 1) groundwater sensitivity and 2) potentially contaminating activities. Groundwater sensitivity is generally defined as the relative ease with which a contaminant on or near the land surface can migrate to the aquifer of interest based on the intrinsic characteristics of the aquifer and the overlying unsaturated materials. Groundwater sensitivity is combined with the potentially contaminating activities risk to characterize overall groundwater vulnerability. The Study Area is comprised of three groundwater subbasins: the Santa Clara, the Coyote, and the Llagas. Each has unique hydrogeologic characteristics as well as unique current and historic land uses. Water-bearing units in the Study Area have been grouped into two major aquifer systems, the Shallow Aquifer and Principal Aquifer. Groundwater vulnerability was assessed separately for each aquifer. Generally, the Shallow Aquifer occurs above regional confining layers. The Principal Aquifer lies beneath the Shallow Aquifer and supplies most of the groundwater produced for beneficial uses in the Study Area. The Principal Aquifer occurs under semi-confined to confined conditions. In areas where confining layers do not exist or are not laterally and vertically extensive, only the Principal Aquifer occurs. Accordingly, in the recharge zones, depth to water was characterized as the first encountered groundwater for both the Shallow and Principal aquifers. In contrast, the Shallow and Principal aquifers were uniquely defined in the confined areas with the Shallow Aquifer characterized by the first encountered groundwater and the Principal Aquifer defined by the top screened interval of wells tapping the primary groundwater production zone. The southern area and lateral margins of the Santa Clara Subbasin are unconfined recharge areas. An extensive regional aquitard occurs in the northern interior portion of the subbasin. The Santa Clara Subbasin is currently highly developed with residential, commercial, and industrial areas. Due to the high density of urban land uses including major industrial manufacturing and processing facilities, point-source contamination is prevalent but generally contained in the Shallow Aquifer. This is due, in part, to the protection offered by the significant confining layers found in the northern portion of the subbasin. The Santa Clara Subbasin is currently undergoing continued urban expansion and redevelopment of formerly industrial areas to residential use. No significant laterally extensive confining layers exist in the Coyote Subbasin, and groundwater generally occurs under unconfined conditions. Compared with the Santa Clara Subbasin, the Coyote Subbasin is relatively rural, undeveloped, and mostly unincorporated with far fewer industrial/commercial contaminant release sites. Due to generally unconfined conditions, the Coyote Subbasin is hydrogeologically sensitive to groundwater contamination. Existing water quality impacts are related to agricultural practices and rural (e.g., septic) land use. Coyote Valley has a high potential for future residential and commercial development. Groundwater in the Llagas Subbasin occurs under unconfined to confined conditions. Generally unconfined recharge areas are found in the northern portion of the subbasin, while confining layers become more frequent and laterally and vertically extensive in the southern areas. Accordingly, the northern portion of the subbasin is relatively more hydrogeologically sensitive to groundwater contamination compared with the southern subbasin. The Llagas Subbasin has urban development focused in the north and south with the central portion of the subbasin comprised predominantly of agricultural development and large residential parcels. The Llagas Subbasin is currently impacted by high levels of nitrate associated with rural land use and agriculture and perchlorate from historic releases from a flare manufacturer. A comprehensive literature review was conducted to identify established methods to conduct vulnerability assessments. Based on the evaluation of available groundwater sensitivity assessment methods and an understanding of available hydrogeologic and water quality information for the Study Area, a statistical method was selected to quantify the sensitivity to contamination of the Shallow Aquifer and Principal Aquifer. Water quality data (i.e., nitrate concentrations and distribution) were used for calibration and verification purposes to identify and rank groundwater sensitivity factors. Based on the logistic regression statistical analysis, four factors were found to be the most important in characterizing groundwater sensitivity. These include 1) soil media characteristics in the vadose zone, 2) groundwater recharge, 3) depth to top of screen, and 4) annual groundwater production. Groundwater recharge in the Study Area includes a significant amount of artificial recharge conducted by the District. Traditionally, artificial recharge and groundwater production would not be considered intrinsic aquifer characteristics. However, for this Study, groundwater sensitivity did include consideration of quasiintrinsic characteristics such as artificial recharge and production. In addition to the objective statistical analysis, subjective refinements relative to artificial recharge areas and characterization of depth to water/aquifer were applied based on observation, technical judgment, and limitations in the nitrate data set. These refinements included subjectively ranking areas near artificial recharge areas as highly sensitive and using depth to first encountered groundwater to represent the depth to water factor for the Principal Aquifer in the recharge zones. This results in higher sensitivity in the recharge areas for the Principal Aquifer. Figures ES-1 and ES-2 show the sensitivity of the Shallow and Principal aquifers, respectively. Not surprisingly, the sensitivity assessment found that the Shallow Aquifer is more sensitive than the Principal Aquifer. In addition, the analysis indicates that the sensitivity of the Shallow and Principal aquifers is generally highest in the Llagas Subbasin, followed by the Coyote Subbasin, and Santa Clara Subbasin. Despite the protection afforded by the regional confining layer in the southern portion of the Llagas Subbasin, both the Shallow and Principal aquifers are highly sensitive to contamination due to high recharge rates and permeable soils. The sensitivity of the Shallow and Principal aquifers in the Coyote Subbasin are also relatively high due primarily to shallow aquifer conditions, high recharge rates, and large amounts of groundwater production. Although the confined zone in the Santa Clara Subbasin affords relatively good protection from surface contamination, the outer western confined zone appears to be highly sensitive to contamination due to the significant groundwater production in this area. Unlike the sensitivity assessment, it is not possible to statistically calibrate potentially contaminating activities risk. Accordingly, potentially contaminating activities are commonly identified and ranked based on subjective observation and experience (e.g., California Drinking Water Source Assessment and Protection Program). For the potentially contaminating activities risk ranking, emphasis was placed on accurately characterizing the maximum risks so as not to underestimate potential risks. The potentially contaminating activities risk analysis included four main risk factors or categories—general plan land use, potentially contaminating business activities, known contaminated sites, and supplemental data. Twenty-nine land use categories were selected and ranked with respect to groundwater impacts. Relative risk ranks were developed for 48 categories of business activities. Known and open contamination sites were given the highest ranking with a lower ranking for closed sites. Additional supplemental data for irrigated agriculture, septic system density, mines, landfills, and petroleum pipelines were also ranked and included in the analysis. These various risk factors were combined to generate the overall potentially contaminating activities risk distribution map. The potentially contaminating activities risk analysis found large portions of the Santa Clara Subbasin are at high risk due to its high level of development with commercial and industrial areas and many associated industrial and commercial contaminant release sites along with the lingering impacts of agricultural releases. Relatively lower overall risks are associated with the Coyote Subbasin, which is relatively rural, undeveloped, and mostly unincorporated with far fewer industrial/commercial contaminant release sites. Nonetheless, most of the subbasin shows a moderate level of risk associated with irrigated agriculture. It is important to note that the Coyote Valley has the most potential for future development and thus the most potential for an increase in risk in the future. Relatively lower overall potentially contaminating activities risk (compared with the Santa Clara Subbasin) is found in the Llagas Subbasin due to its more rural nature. Areas of relatively higher risk are associated with commercial and industrial development in the vicinity of the cities of Morgan Hill and Gilroy. Moderate risk is found in the central portion of the subbasin associated with irrigated agriculture. While continued conversion of rural to urban land use in the vicinity of the cities of Morgan Hill and Gilroy in the future will likely increase risk in these areas, the central portion of the subbasin is expected to remain relatively unchanged with respect to risk, given the established zoning. 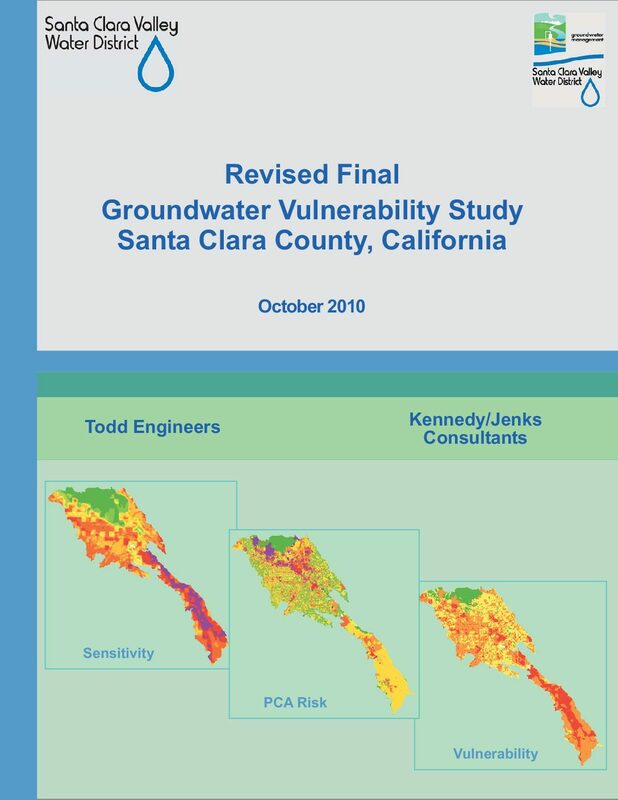 The sensitivity assessment and potentially contaminating activities risk were combined to create the overall vulnerability maps for the Shallow and Principal aquifers. Figures ES-3 and ES-4 show the vulnerability of the Shallow and Principal aquifers, respectively. As might be expected, the vulnerability of the Shallow Aquifer is greater than the Principal Aquifer in areas of confinement in the Santa Clara Subbasin. The density of commercial/industrial sites and known contamination release sites in the northern Santa Clara Subbasin make the Shallow Aquifer highly vulnerable to contamination. The Principal Aquifer has fewer areas of very high vulnerability compared with the Shallow Aquifer due to the relative lower sensitivity of the Principal Aquifer. The Llagas and Coyote subbasins exhibit high to very high groundwater vulnerability in both the Shallow and Principal aquifers. The high vulnerability is driven primarily by the high sensitivity in these two subbasins. Given the potential for future development in the Coyote Subbasin, the high degree of vulnerability of the subbasin requires the highest level of effort directed toward protection. Following completion of the vulnerability assessment, a web-based geographical information system tool was developed, which incorporated the sensitivity, potentially contaminating activities risk, and vulnerability maps. Additional maps are also provided to enhance the usefulness of the tool. The tool enables District staff to work interactively with the vulnerability study analysis. The tool enables District staff to evaluate potential impacts of land use changes, prioritize basin management activities, prioritize review of known contamination sites, update existing data layers, update or modify risk factors, and add supplemental data layers. 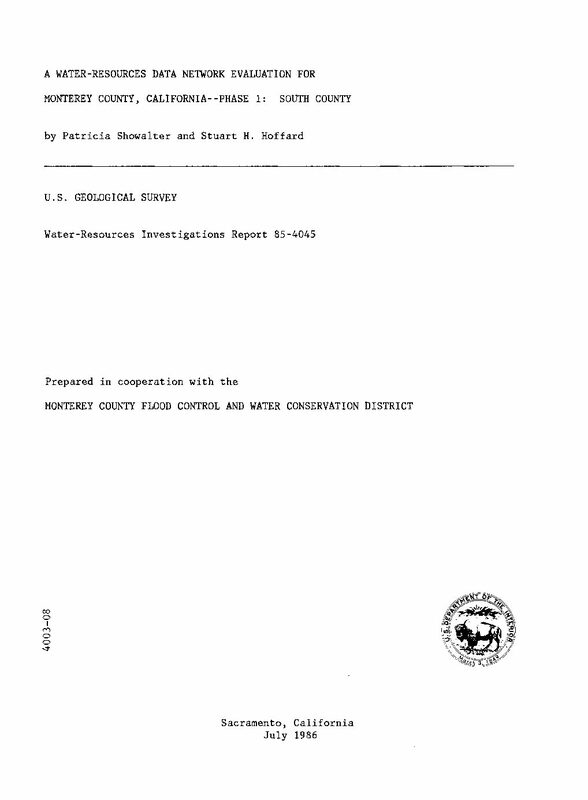 Characterization of storage capacities and hydraulic properties of the complex aquifers and the structural and stratigraphic controls on groundwater movement aids in optimal storage and recovery of recharged water and provides information on the ability of aquifers shared by different water management agencies to fulfill competing storage and extraction demands. Beginning in the 1970s, Alameda County Water District began infiltrating imported water through ponds in repurposed gravel quarries at the Quarry Lakes Regional Park, in the Niles Cone groundwater subbasin, to recharge groundwater and to minimize intrusion of saline, San Francisco Bay water into freshwater aquifers. Hydraulic connection between distinct aquifers underlying Quarry Lakes allows water to recharge the upper aquifer system to depths of 400 feet below land surface, and the Deep aquifer to depths of more than 650 feet. 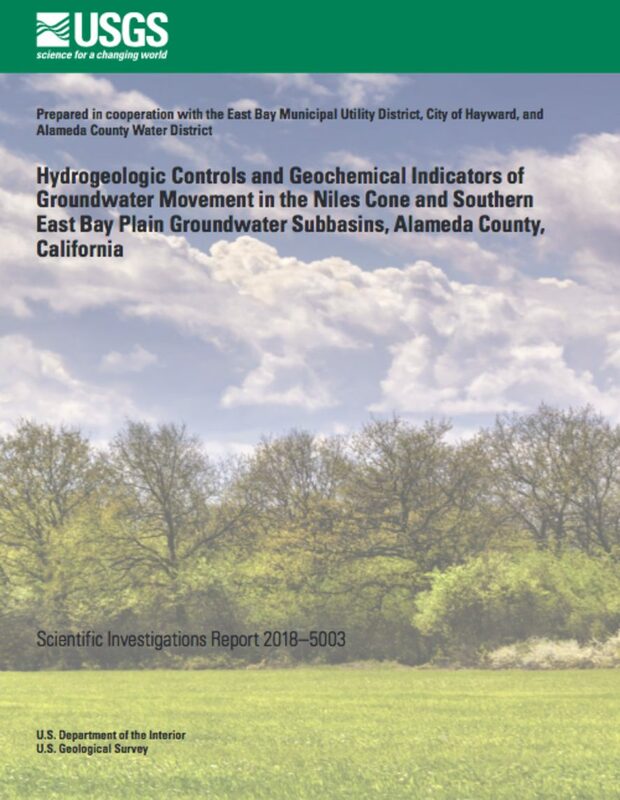 Previous studies of the Niles Cone and southern East Bay Plain groundwater subbasins suggested that these two subbasins may be hydraulically connected. Characterization of storage capacities and hydraulic properties of the complex aquifers and the structural and stratigraphic controls on groundwater movement aids in optimal storage and recovery of recharged water and provides information on the ability of aquifers shared by different water management agencies to fulfill competing storage and extraction demands. The movement of recharge water through the Niles Cone groundwater subbasin from Quarry Lakes and the possible hydraulic connection between the Niles Cone and the southern East Bay Plain groundwater subbasins were investigated using interferometric synthetic aperture radar (InSAR), water-chemistry, and isotopic data, including tritium/helium-3, helium-4, and carbon-14 age-dating techniques.